Finding the best price for your holiday can be difficult. If you’ve ever tried to get the best deal on a holiday, you will have noticed that airlines and hotels continually change their prices. What might cost a certain amount now, could be cheaper or more expensive tomorrow due to this “dynamic pricing” – used as a method to manage revenue. We have studied these pricing techniques in sectors including airlines and hotels to further understand and identify when it is best to book and get the best price. These dynamic pricing techniques are used when demand for a product is uncertain and capacity is fixed. There is an incentive to sell most of the available seats or rooms by a certain deadline as these assets are “perishable” – if the company doesn’t sell the product in time, the opportunity and money is lost forever. 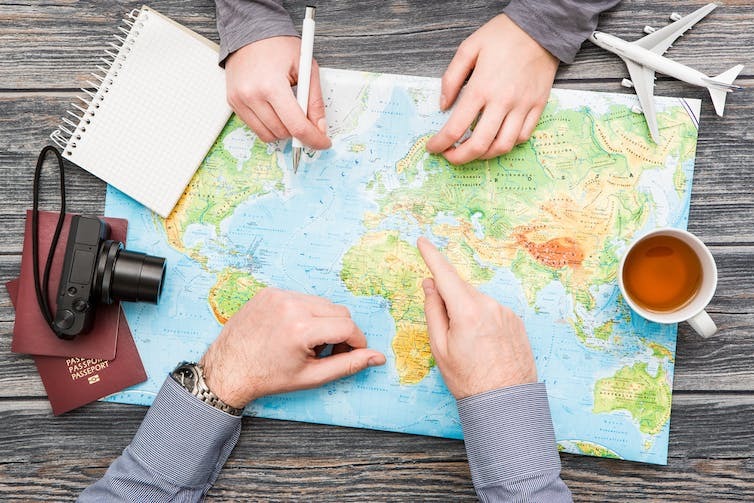 Travel companies also use dynamic pricing to increase their revenue per room or seat, and so customers can often pay wildly different prices for the exact same thing – as much as 60% for hotel rooms and much more for flights. 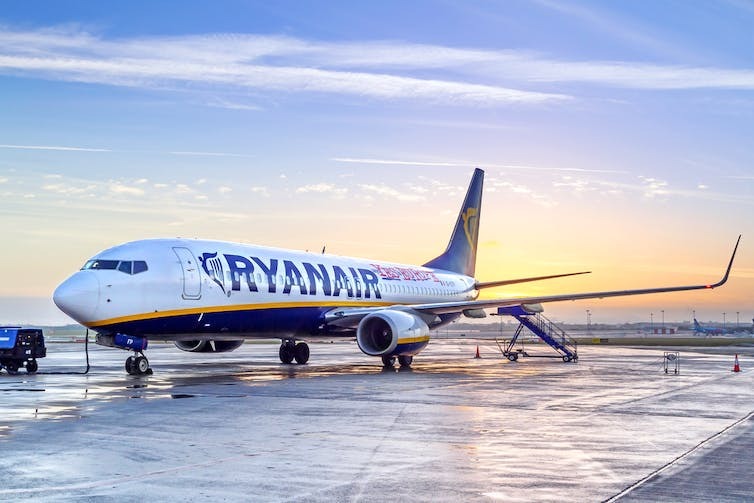 Through several studies and simulations, Professor Claudio Piga’s team from Keele University showed how seat inventory controls are at the heart of the dynamic pricing you see in low-cost airlines, such as Ryanair and easyJet. They found that prices tend to increase as the plane fills up, which suggests that the best time to book depends on the popularity of the route. If it is very popular, you need to book early to bag the best deal, since the lower fares get booked first and disappear from the system, leaving only the higher fares. Professor Piga’s research also simulated a ticket purchase of 50 seats. They bought the tickets in “bulk”, which resulted in a higher individual price. Indeed, if there is only a single remaining ticket in a low price band, buying two tickets at the same time means paying a higher price for both of them, while the low-priced ticket will remain unsold. Consequently, it seems better for customers to break bookings down into smaller groups. That way, at least the first seats are charged at the lower rate. Seats only become cheaper as the flight time approaches if sales are lower than expected. In this case, they move into cheaper price bands to encourage more sales. In general, however, you can expect prices to rise as the departure date approaches. Ryanair is just one of the budget airlines to use dynamic pricing. The situation with hotels, however, appears to be quite different – as Professor Graziano Abrate from the University of Eastern Piedmont and I found in our studies. Despite the fact that hotels have a similar problem to airlines, in that they need to maximise their revenue on each available room, their prices seem to be less volatile. They need to achieve a good balance between price per room and room occupancy, but the market is much more fragmented, with several big groups – and countless individual hotels – all competing for custom. Consequently, hotels constantly monitor the prices and room availability of their competitors and adjust their prices accordingly. In general, however, you’re better off booking as far in advance as possible. Prices can also differ depending on whether the hotel is in a business or leisure destination. In leisure cities, you are unlikely to find last-minute deals over the weekend, whereas business city prices tend to be higher during the week due to the demand differences of these locations. Economy hotels, however, especially independent ones, use dynamic pricing less often, due to the relatively high cost of the software required to manage the inventory in this way. Consequently, they are more likely to be consistent in price. As baffling as it can be, comparison websites, such as Skyscanner and Trivago have simplified matters – thanks to big data techniques, they give us the chance to investigate prices across different platforms. It appears that Tuesday and Sunday are the best days to complete a booking, regardless of when you need the flight or hotel – and in both business and leisure destinations. And a useful tip to avoid airline overbooking is to check in before the day of the flight. Once a seat is assigned and a boarding pass issued, you cannot be bumped, unless you volunteer to be. A sad truth for consumers is that carriers and hoteliers use complex and sophisticated revenue management systems to create their prices – so it really is only going to get harder to beat the system. Still, at least you’ve got a holiday to look forward to at the end of it.